The Chief Executive Officer of Lekki Port LFTZ Enterprise, Mr. Navin Nahata has commended Lagos State Government and the Nigerian Ports Authority, the major stakeholders in the development of the Lekki Port project, for their unwavering support so far on the project. Nahata stated this in Lagos recently after his visits to these stakeholders on Tuesday, 20th February, 2018. 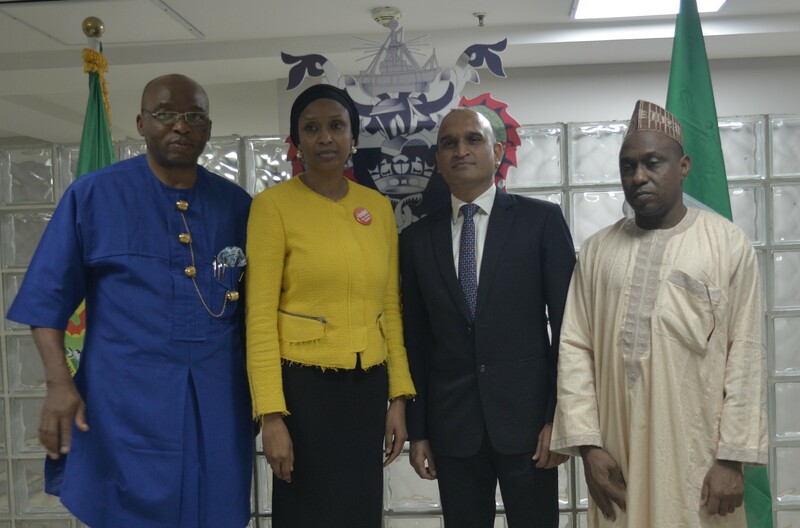 He met with the Lagos State Commisioner for Commerce, Industry and Co-operatives, Mrs Olayinka Oladunjoye and the Managing Director of the Nigerian Ports Authority, Hadiza Bala Usman in their offices. He noted that the commencement of construction and the quick progress recorded so far could not have been possible without these stakeholders. He also commended the Honourable Minister of Transportation, Rt. Hon Rotimi Amaechi as well as other regulatory agencies for their commitment to making the port a reality. Furthermore, he expressed gratitude to the host communities for being peaceful and supportive. Speaking on the pace of construction work, the Chief Executive Officer expresses satisfaction with the level of work so far, and revealed that the first breakwater has reached an advance stage with over 235 Metres completed. In her own reaction after the meeting, the Lagos State Commissioner for Commerce, Industry and Co-operatives, Mrs. Olayinka Oladunjoye assured the management of Lekki Port of the unwavering commitment of the Governor Akinwumi Ambode led administration towards the actualization of the Lekki Port project. In a similar vein, the Managing Director of the Nigerian Ports Authority (NPA), Ms. Hadiza Bala Usman, reaffirmed the support and partnership of the federal government to the project through the Ports Authority. She applauded the company for its excellent stakeholder engagement policy.